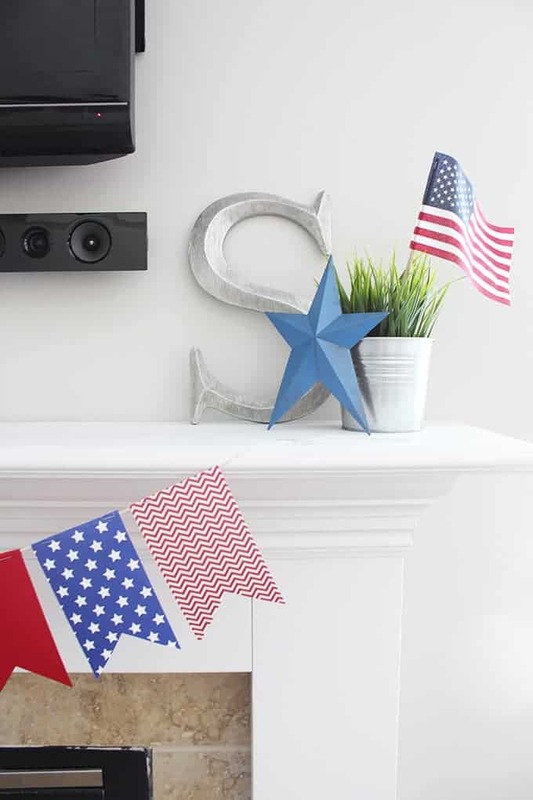 DIY 4th of July Banner + Free Template - So Festive! I love using banners to decorate. They are quick and simple to make (especially when you use paper) and you can save them to use year after year. Add in a few new touches here and there and decorating is made easy! 1. Print out the template for your banner pieces here. Then trace onto cardstock or cardboard. 2. Cut as many pieces as you’d like. 3. Attach the banner pieces to the string by folding over the top 1/8 inch and stapling it together. I like to staple because it’s fast, but there are other ways you could do this. 4. 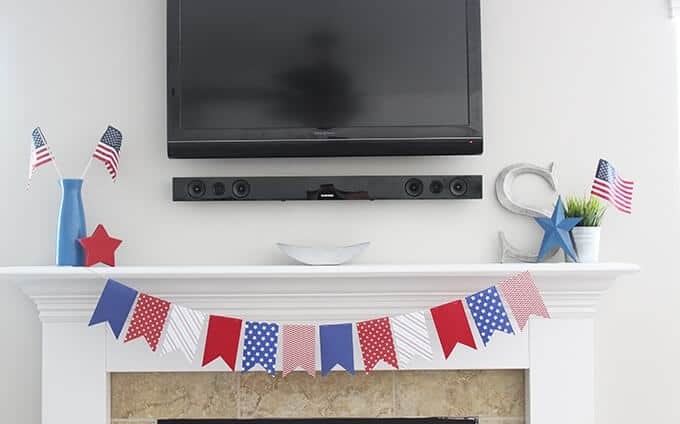 Hang your 4th of July banner on a mantle or doorway. You could even use it for a party backdrop! See it used last year here. Hurray for the 4th of July!! 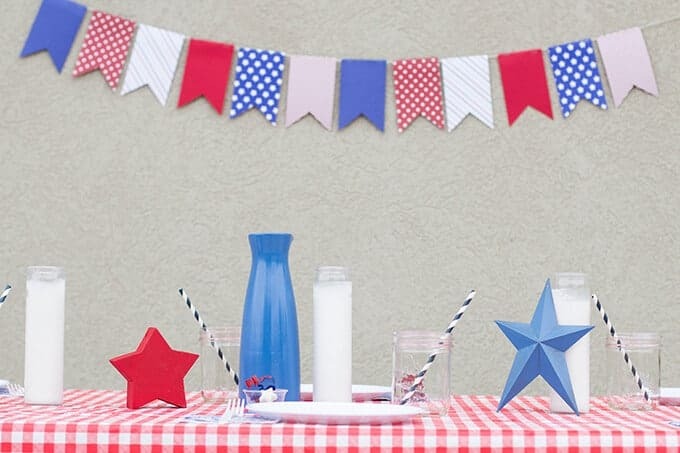 This is super cute and I should attempt to make it since there is still time before the 4th. So fun and as always, extremely FESTIVE!!! !